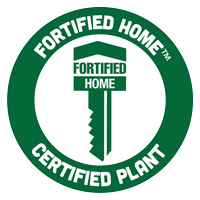 Palm Harbor Homes in Florida is proud to announce it is the first modular builder to be awarded the FORTIFIED HOME certification. We are in the middle of hurricane season, and if you live in a modular home or site built home in a hurricane-prone area, you may be a bit nervous until November rolls around. Palm Harbor Homes has always built homes that can weather the storm, but we are working on something new and exciting. 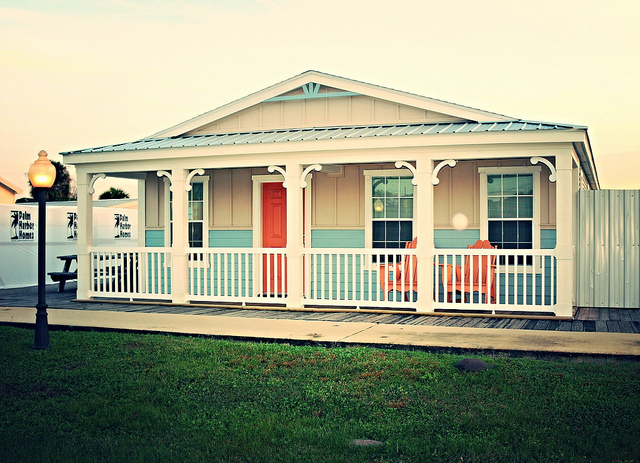 Our Plant City, Florida, location is the first modular builder to earn the prestigious FORTIFIED HOME™ – Hurricane Modular Home Plant Certification. We are very excited to get things rolling to provide our customers with even more great quality manufactured and modular homes. What Exactly Is a Hurricane-Wind Resistant Modular Home? After Hurricane Andrew destroyed many Florida manufactured homes in 1992, standards and codes of manufactured and modular structures were strengthened, particularly in hurricane prone areas of the country. FEMA put out a newsletter regarding the standards of manufactured homes and their ability to withstand hurricane force winds. In 2010, the Insurance Institute for Business & Home Safety’s FORTIFIED home provided engineering and building standards to anyone seeking a stronger structure, able to withstand hurricane-force winds. Palm Harbor believes that you should feel safe in your home and be confident in its stability and structure. Our modular homes with the FORTIFIED Bronze certification are hurricane-wind resistant and will not require any additional modifications or strengthening against severe storms. What Are the Benefits of Owning a FORTIFIED Certified Home? Manufactured and modular homes earning the FORTIFIED Home label stand above other homes because they must meet stringent resilient construction requirements set by IBHS based on their extensive building engineering research. You cannot put a price on the knowledge that you have taken an important extra step to protect your home and your belongings for your next return from a hurricane evacuation. Look for more blogs coming soon with additional information about these amazing FORTIFIED homes and their features! We hope to continue developing these great building standards and make them available to you. We will continue to update you as we proceed with our new FORTIFIED modular home construction. To learn more regarding the availability for these homes, stop by our Plant City, FL location or call (813) 719-3335. Our home was built June/July 2010. Is this built to these standards? Worried about hurricane Irama. Annette Abernathy – Although your home was built prior to our prestigious FORTIFIED HOME™ – Hurricane Modular Home Plant Certification, your home was built to our exacting construction standards that have thousands of homes weather the storms of Florida for the past 40 years. That being said, we urge you and all residents of Florida and other storm impacted areas to observe local and state warnings for evacuation immediately for your own safety. No one can predict the destruction of flood surges or tornadic winds. Please seek shelter as advised by local and state authorities. Be safe! My home is a 2012 model# X4606P Casita. What is the expected wind rating this house could withstand? Cat 1, Cat 2, Cat 3??? Rita Masi – Thank you for your question. However, answering that question requires more information. Please see our private message via email.